As a Catholic school, Pentecost is an important feast Day. This year it falls on Sunday 9th June and we would like to celebrate this by having a ‘red day’ in school on Monday 10th June. This will be symbolic of the Disciples in the upper room and the gift of the Holy Spirit. 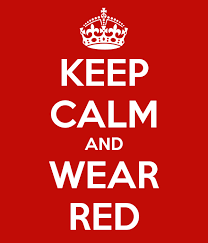 We invite pupils to come to school dressed in all reds, oranges, yellow clothes on 10th June.